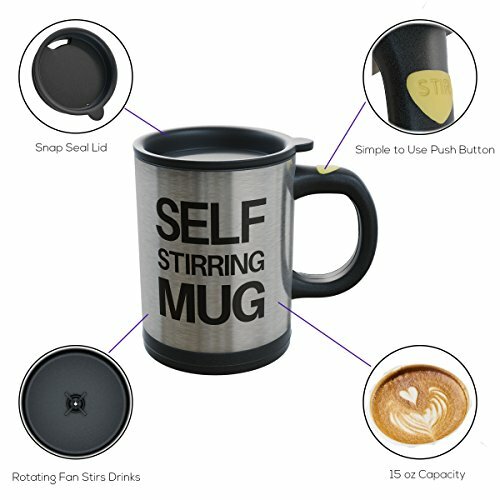 This device is a cool and affordable device that"s great for the person that"s looking to save time but also makes for a cool novelty gift for a friend /parents or on someone"s birthday Who would have ever thought that tea/coffee could be turned so high tech? 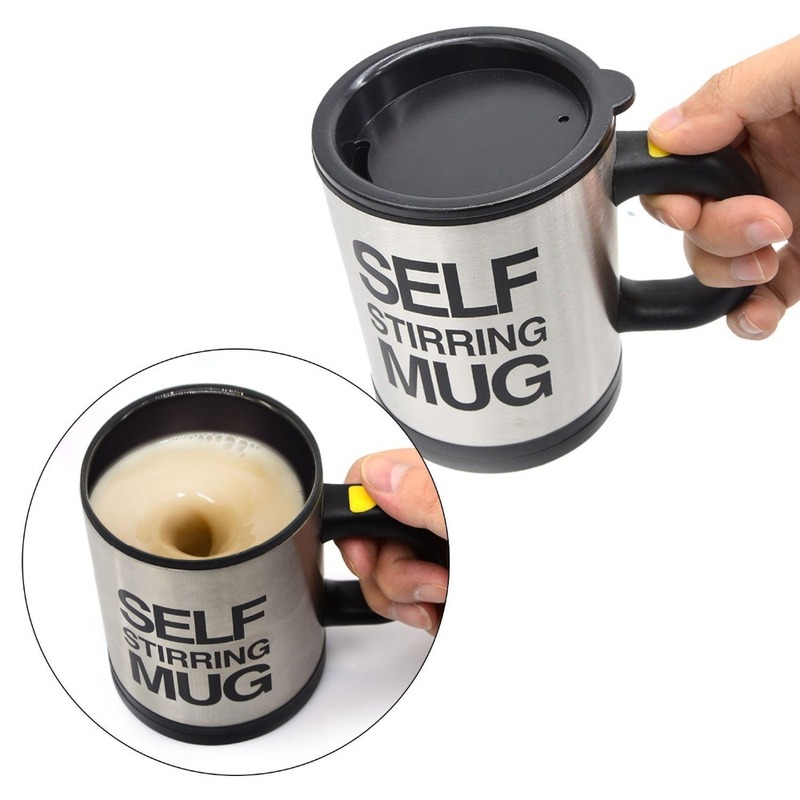 Not just great for stirring in your sugar but the Self Stirring Mug also keeps your sugar cocoa or Ovaltine from settling at the bottom of your cup so you get to enjoy the flavor you want right down to the last sip with just the hit of that button And for those who enjoy a hot cuppa’ on their morning commute; the Self Stirring Mug also comes with a handy travel lid with hole so you can focus on your driving without having to fuss with stirring The lid also keeps your beverage warm and prevents spillage thanks to the rubber seal which makes the Self Stirring Mug perfect for those who walk to work as well Is there anything this mug can’t do? ?